This is “Communication in Organizations”, chapter 12 from the book Management Principles (v. 1.1). For details on it (including licensing), click here. 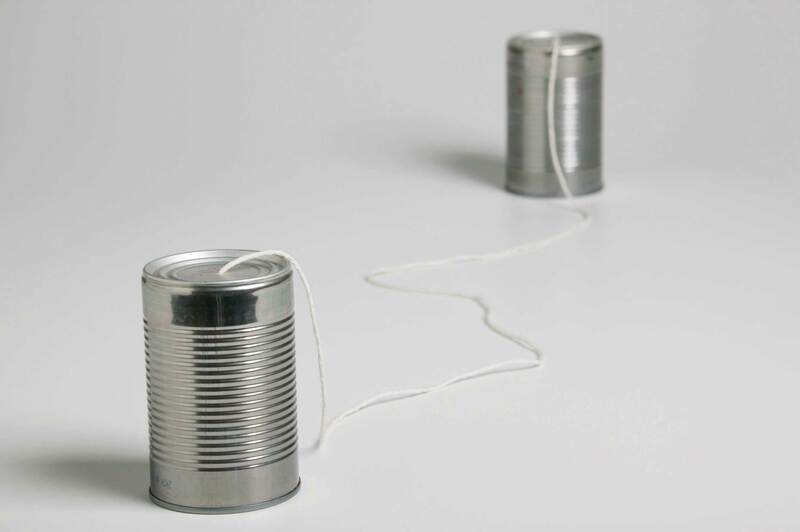 A sender’s choice of communication channel affects the quality of what is actually understood by the receiver. Define communication and understand the communication process. Understand and overcome barriers to effective communication. Develop your own communication skills. Because of the economic turmoil that most financial institutions find themselves in today, it might come as a surprise that an individual investment company came in at number 2 on Fortune magazine’s “100 Best Companies to Work For” list in 2010, behind software giant SAS Institute Inc. Edward Jones Investments (a limited partnership company) was originally founded in St. Louis, Missouri, where its headquarters remain today. With more than 10,000 offices across the United States and Canada, they are able to serve nearly 7 million investors. This is the 10th year Edward Jones has made the Best Companies list. In addition, Edward Jones ranked highest with client satisfaction among full-service investment firms, according to an annual survey released by J. D. Power and Associates in 2009. How has Edward Jones maintained this favorable reputation in the eyes of both its employees and its customers? It begins with the perks offered, including profit sharing and telecommuting. But if you ask the company’s CEO, Tim Kirley, he will likely tell you that it goes beyond the financial incentives, and at the heart of it is the culture of honest communication that he adamantly promotes. Kirley works with senior managers and team members in what makes up an open floor plan and always tries to maintain his approachability. Examples of this include direct communication, letters to staff and video, and Internet-posted talks. In addition, regular meetings are held to celebrate achievements and reinforce the firm’s ethos. Staff surveys are frequently administered and feedback is widely taken into consideration so that the 10,000 employees feel heard and respected. According to Fortune’s managing editor, Hank Gilman, “The most important considerations for this year’s list were hiring and the ways in which companies are helping their employees weather the recession.” Edward Jones was able to persevere through the trauma of the recent financial crisis with no layoffs and an 8% one-year job growth. While a salary freeze was enacted, profit sharing continued. Kirley insists that the best approach to the recent economic downturn is to remain honest with his employees even when the news he is delivering is not what they want to hear. Communication is a key part of the leading facet of the P-O-L-C framework. What other things could Edward Jones do to increase its effectiveness in the area of communications? As an organization, what qualities do you think Edward Jones looks for when hiring new financial advisors? How do you think that affects its culture over time? With its success in North America, why do you think Edward Jones has not expanded across the Pacific or Atlantic Oceans? How has technology enabled Edward Jones to become more effective at communicating with its employees and customers? What types of customer service policies do think Edward Jones has in place? How do these relate to its culture over time? Understand the features and advantages of verbal communication. Understand the features and advantages of written communication. Understand the features of nonverbal communication and how it interacts with verbal and written communications. Communication can be categorized into three basic types: (1) verbal communication, in which you listen to a person to understand their meaning; (2) written communication, in which you read their meaning; and (3) nonverbal communication, in which you observe a person and infer meaning. Each has its own advantages, disadvantages, and even pitfalls. Verbal communications in business take place over the phone or in person. The medium of the Message is oral. Let’s return to our printer cartridge example. This time, the Message is being conveyed from the Sender (the Manager) to the Receiver (an employee named Bill) by telephone. We’ve already seen how the Manager’s request to Bill (“We need to buy more printer toner cartridges”) can go awry. Now let’s look at how the same Message can travel successfully from Sender to Receiver. Storytelling has been shown to be an effective form of verbal communication; it serves an important organizational function by helping to construct common meanings for individuals within the organization. Stories can help clarify key values and help demonstrate how things are done within an organization, and story frequency, strength, and tone are related to higher organizational commitment.McCarthy, J. F. (2008). Short stories at work: Storytelling as an indicator of organizational commitment. Group & Organization Management, 33, 163–193. The quality of the stories entrepreneurs tell is related to their ability to secure capital for their firms.Martens, M. L., Jennings, J. E., & Devereaux, J. P. (2007). Do the stories they tell get them the money they need? The role of entrepreneurial narratives in resource acquisition. Academy of Management Journal, 50, 1107–1132. Stories can serve to reinforce and perpetuate an organization’s culture, part of the organizing P-O-L-C function. While the process may be the same, high-stakes communications require more planning, reflection, and skill than normal day-to-day interactions at work. Examples of high-stakes communication events include asking for a raise or presenting a business plan to a venture capitalist. In addition to these events, there are also many times in our professional lives when we have crucial conversationsDiscussions where the stakes are high, opinions vary, and emotions run strong.—discussions where not only the stakes are high but also where opinions vary and emotions run strong.Patterson, K., Grenny, J., McMillan, R., & Switzler, A. (2002). Crucial conversations: Tools for talking when stakes are high. New York: McGraw-Hill. One of the most consistent recommendations from communications experts is to work toward using “and” instead of “but” as you communicate under these circumstances. In addition, be aware of your communication style and practice flexibility; it is under stressful situations that communication styles can become the most rigid. In contrast to verbal communications, written business communications are printed messages. Examples of written communications include memos, proposals, e-mails, letters, training manuals, and operating policies. They may be printed on paper, handwritten, or appear on the screen. Normally, a verbal communication takes place in real time. Written communication, by contrast, can be constructed over a longer period of time. Written communication is often asynchronous (occurring at different times). That is, the Sender can write a Message that the Receiver can read at any time, unlike a conversation that is carried on in real time. A written communication can also be read by many people (such as all employees in a department or all customers). It’s a “one-to-many” communication, as opposed to a one-to-one verbal conversation. There are exceptions, of course: a voicemail is an oral Message that is asynchronous. Conference calls and speeches are oral one-to-many communications, and e-mails may have only one recipient or many. 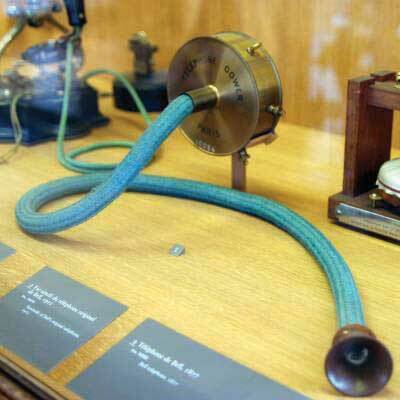 Communication mediums have come a long way since Alexander Graham Bell’s original telephone. Most jobs involve some degree of writing. According to the National Commission on Writing, 67% of salaried employees in large American companies and professional state employees have some writing responsibility. Half of responding companies reported that they take writing into consideration when hiring professional employees, and 91% always take writing into account when hiring (for any position, not just professional-level ones).Flink, H. (2007, March). 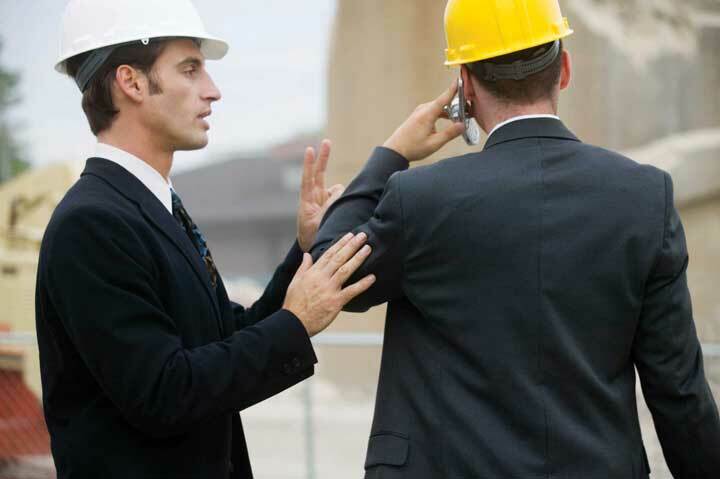 Tell it like it is: Essential communication skills for engineers. Industrial Engineer, 39, 44–49. Luckily, it is possible to learn to write clearly. Here are some tips on writing well. Thomas Jefferson summed up the rules of writing well with this idea “Don’t use two words when one will do.” One of the oldest myths in business is that writing more will make us sound more important; in fact, the opposite is true. Leaders who can communicate simply and clearly project a stronger image than those who write a lot but say nothing. What you say is a vital part of any communication. But what you don’t say can be even more important. Research also shows that 55% of in-person communication comes from nonverbal cues like facial expressions, body stance, and tone of voice. 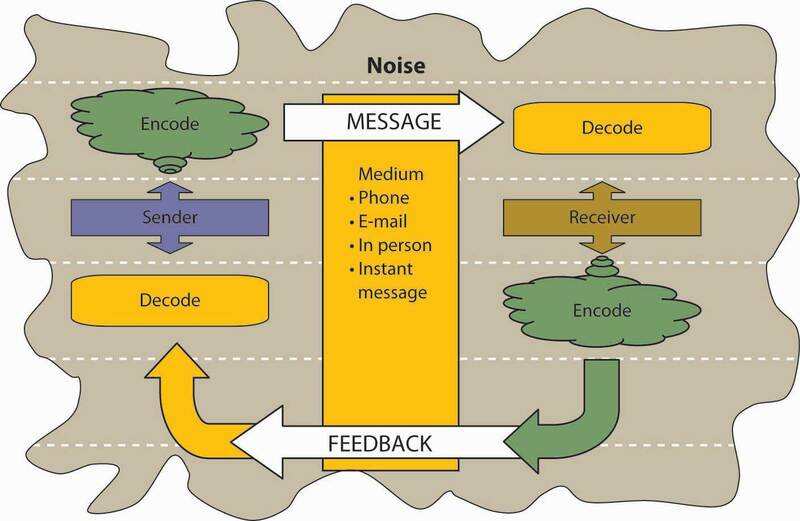 According to one study, only 7% of a Receiver’s comprehension of a Message is based on the Sender’s actual words; 38% is based on paralanguage (the tone, pace, and volume of speech), and 55% is based on nonverbal cues (body language).Mehrabian, A. (1981). Silent messages. New York: Wadsworth. Research shows that nonverbal cues can also affect whether you get a job offer. Judges examining videotapes of actual applicants were able to assess the social skills of job candidates with the sound turned off. They watched the rate of gesturing, time spent talking, and formality of dress to determine which candidates would be the most successful socially on the job.Gifford, R., Ng, C. F., & Wilkinson, M. (1985). Nonverbal cues in the employment interview: Links between applicant qualities and interviewer judgments. Journal of Applied Psychology, 70, 729–736. For this reason, it is important to consider how we appear in business as well as what we say. The muscles of our faces convey our emotions. We can send a silent message without saying a word. A change in facial expression can change our emotional state. Before an interview, for example, if we focus on feeling confident, our face will convey that confidence to an interviewer. Adopting a smile (even if we’re feeling stressed) can reduce the body’s stress levels. To be effective communicators, we need to align our body language, appearance, and tone with the words we’re trying to convey. Research shows that when individuals are lying, they are more likely to blink more frequently, shift their weight, and shrug.Siegman, A. W. (1985). Multichannel integrations of nonverbal behavior. 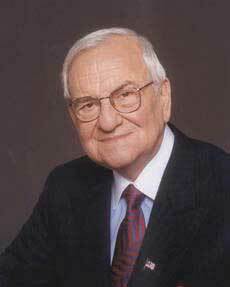 Hillsdale, NJ: Lawrence Erlbaum. Listen Up and Learn More! To learn more about facial language from facial recognition expert Patrician McCarthy as she speaks with Senior Editor Suzanne Woolley at Business Week, view the online interview at http://feedroom.businessweek.com/index.jsp?fr_chl=1e2ee1e43e4a5402a862f79a7941fa625f5b0744. 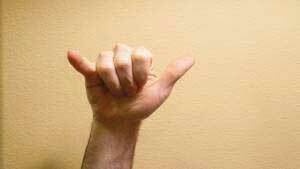 Another element of nonverbal communication is tone. A different tone can change the perceived meaning of a message. Table 12.2 "Don’t Use That Tone with Me!" demonstrates how clearly this can be true, whether in verbal or written communication. If we simply read these words without the added emphasis, we would be left to wonder, but the emphasis shows us how the tone conveys a great deal of information. Now you can see how changing one’s tone of voice or writing can incite or defuse a misunderstanding. Table 12.2 Don’t Use That Tone with Me! I did not tell John you were late. Someone else told John you were late. I did not tell John you were late. This did not happen. I did not tell John you were late. I may have implied it. I did not tell John you were late. But maybe I told Sharon and José. I did not tell John you were late. I was talking about someone else. I did not tell John you were late. I told him you still are late. I did not tell John you were late. I told him you were attending another meeting. Changing your tone can dramatically change your meaning. Source: Based on ideas in Kiely, M. (1993, October). When “no” means “yes.” Marketing, 7–9. For an example of the importance of nonverbal communication, imagine that you’re a customer interested in opening a new bank account. At one bank, the bank officer is dressed neatly. She looks you in the eye when she speaks. Her tone is friendly. Her words are easy to understand, yet she sounds professional. “Thank you for considering Bank of the East Coast. We appreciate this opportunity and would love to explore ways that we can work together to help your business grow,” she says with a friendly smile. At the second bank, the bank officer’s tie is stained. He looks over your head and down at his desk as he speaks. He shifts in his seat and fidgets with his hands. His words say, “Thank you for considering Bank of the West Coast. We appreciate this opportunity and would love to explore ways that we can work together to help your business grow,” but he mumbles, and his voice conveys no enthusiasm or warmth. Which bank would you choose? The speaker’s body language must match his or her words. If a Sender’s words and body language don’t match—if a Sender smiles while telling a sad tale, for example—the mismatch between verbal and nonverbal cues can cause a Receiver to actively dislike the Sender. Here are a few examples of nonverbal cues that can support or detract from a Sender’s Message. A simple rule of thumb is that simplicity, directness, and warmth convey sincerity. And sincerity is key to effective communication. 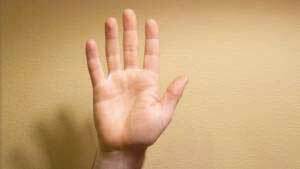 A firm handshake, given with a warm, dry hand, is a great way to establish trust. 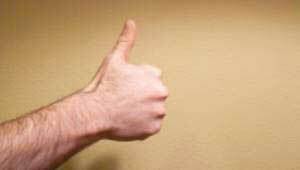 A weak, clammy handshake conveys a lack of trustworthiness. Gnawing one’s lip conveys uncertainty. A direct smile conveys confidence. In business, the style and duration of eye contact considered appropriate vary greatly across cultures. In the United States, looking someone in the eye (for about a second) is considered a sign of trustworthiness. The human face can produce thousands of different expressions. These expressions have been decoded by experts as corresponding to hundreds of different emotional states.Ekman, P., Friesen, W. V., & Hager, J. C. The facial action coding system (FACS). Retrieved July 2, 2008, from http://face-and-emotion.com/dataface/facs/manual. Our faces convey basic information to the outside world. Happiness is associated with an upturned mouth and slightly closed eyes; fear with an open mouth and wide-eyed stare. Flitting (“shifty”) eyes and pursed lips convey a lack of trustworthiness. The effect of facial expressions in conversation is instantaneous. Our brains may register them as “a feeling” about someone’s character. The position of our body relative to a chair or another person is another powerful silent messenger that conveys interest, aloofness, professionalism—or lack thereof. Head up, back straight (but not rigid) implies an upright character. In interview situations, experts advise mirroring an interviewer’s tendency to lean in and settle back in her seat. The subtle repetition of the other person’s posture conveys that we are listening and responding. The meaning of a simple touch differs between individuals, genders, and cultures. In Mexico, when doing business, men may find themselves being grasped on the arm by another man. To pull away is seen as rude. In Indonesia, to touch anyone on the head or touch anything with one’s foot is considered highly offensive. In the Far East, according to business etiquette writer Nazir Daud, “it is considered impolite for a woman to shake a man’s hand.”Daud, N. (n.d.). Business etiquette. Retrieved July 2, 2008, from http://ezinearticles.com/?Business-Etiquette---Shaking-Hands-around-the-World&id=746227. 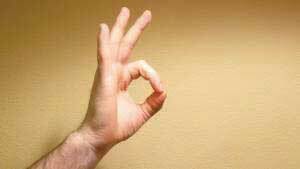 Americans, as we have noted, place great value in a firm handshake. But handshaking as a competitive sport (“the bone-crusher”) can come off as needlessly aggressive, at home and abroad. Anthropologist Edward T. Hall coined the term proxemics to denote the different kinds of distance that occur between people. These distances vary between cultures. 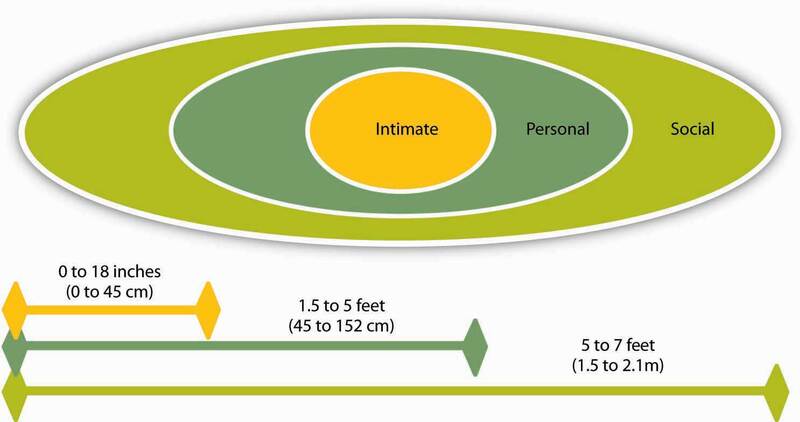 The figure below outlines the basic proxemics of everyday life and their meaning:Hall, E. T. (1966). The hidden dimension. New York: Doubleday. Standing too far away from a colleague (such as a public speaking distance of more than seven feet) or too close to a colleague (intimate distance for embracing) can thwart an effective verbal communication in business. Types of communication include verbal, written, and nonverbal. Verbal communications have the advantage of immediate feedback, are best for conveying emotions, and can involve storytelling and crucial conversations. Written communications have the advantage of asynchronicity, of reaching many readers, and are best for conveying information. Both verbal and written communications convey nonverbal messages through tone; verbal communications are also colored by body language, eye contact, facial expression, posture, touch, and space. When you see a memo or e-mail full of typos, poor grammar, or incomplete sentences, how do you react? Does it affect your perception of the Sender? Why or why not? How aware of your own body language are you? Has your body language ever gotten you into trouble when you were communicating with someone? 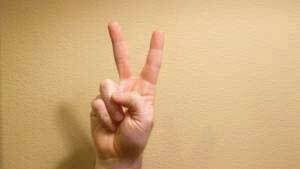 If the meaning behind verbal communication is only 7% words, what does this imply for written communication? Understand how communication channels affect communication. Recognize different communication directions within organizations. The channel, or medium, used to communicate a message affects how accurately the message will be received. Verbal, written, and nonverbal communications have different strengths and weaknesses. In business, the decision to communicate verbally or in written form can be a powerful one. In addition, a smart manager is aware of the nonverbal messages conveyed by either type of communication—as noted earlier, only 7% of verbal communication comes from the words themselves. Channels vary in their information richness. Information-rich channels convey more nonverbal information. As you may be able to guess from our earlier discussion of verbal and written communications, verbal communications are richer than written ones. Research shows that effective managers tend to use more information-rich communication channels than less effective managers.Allen, D. G., & Griffeth, R. W. (1997). Vertical and lateral information processing; Fulk, J., & Boyd, B. (1991). Emerging theories of communication in organizations. Journal of Management, 17, 407–446; Yates, J., & Orlikowski, W. J. (1992). Genres of organizational communication: A structurational approach to studying communication and media. Academy of Management Review, 17, 299–326. 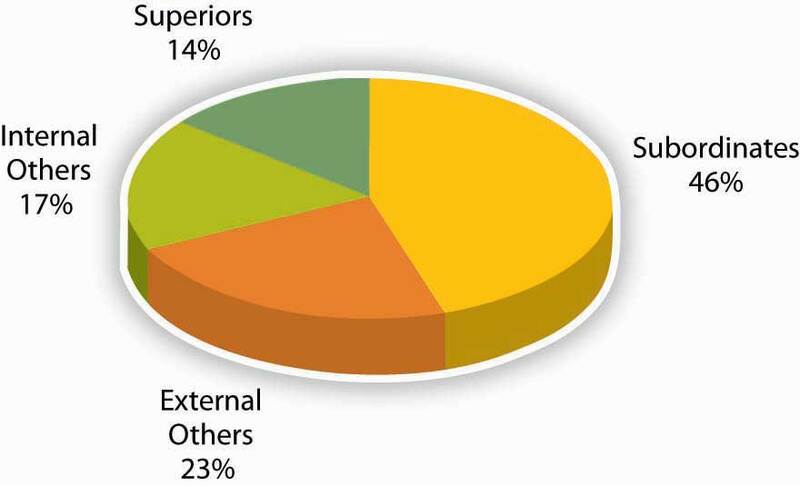 The figure below illustrates the information richness of different information channels. Source: Adapted from information in Daft, R. L., & Lenge, R. H. (1984). Information richness: A new approach to managerial behavior and organizational design. In B. Staw & L. Cummings (Eds. ), Research in organizational behavior (Vol. 6, pp. 191–233). Greenwich, CT: JAI Press; and Lengel, R. H., & Daft, D. L. (1988). The selection of communication media as an executive skill. Academy of Management Executive, 11, 225–232. Like face-to-face and telephone conversation, videoconferencing has high information richness because Receivers and Senders can see or hear beyond just the words—they can see the Sender’s body language or hear the tone of their voice. Handheld devices, blogs, and written letters and memos offer medium-rich channels because they convey words and pictures/photos. 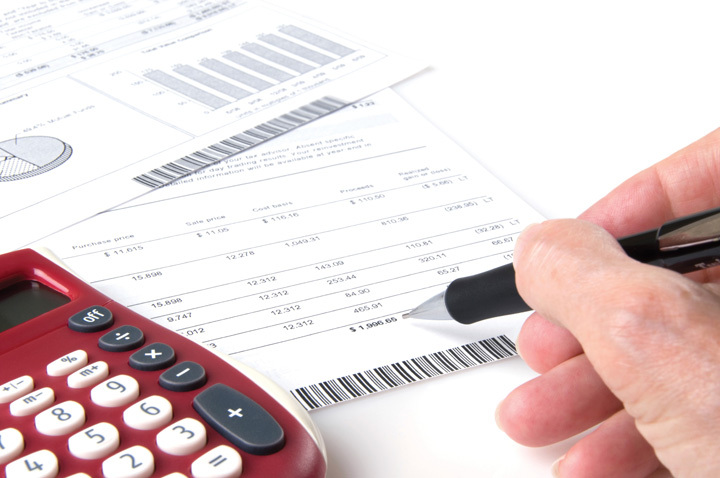 Formal written documents, such as legal documents, and spreadsheets, such as the division’s budget, convey the least richness because the format is often rigid and standardized. As a result, nuance is lost. In business, the decision to communicate verbally or in written form can be powerful. In addition, a smart manager is aware of the nonverbal messages conveyed by either type of communication—as noted earlier, only 7% of a verbal communication comes from the words themselves. When determining whether to communicate verbally or in writing, ask yourself: Do I want to convey facts or feelings? Verbal communications are a better way to convey feelings. Written communications do a better job of conveying facts. Picture a manager making a speech to a team of 20 employees. The manager is speaking at a normal pace. The employees appear interested. But how much information is being transmitted? Not as much as the speaker believes! Humans listen much faster than they speak. The average public speaker communicates at a speed of about 125 words a minute. And that pace sounds fine to the audience. (In fact, anything faster than that probably would sound weird. To put that figure in perspective, someone having an excited conversation speaks at about 150 words a minute.) On the basis of these numbers, we could assume that the employees have more than enough time to take in each word the manager delivers. And that’s the problem. The average person in the audience can hear 400–500 words a minute.Lee, D., & Hatesohl, D. Listening: Our most used communication skill. University of Missouri. Retrieved July 2, 2008, from http://extension.missouri.edu/explore/comm/cm0150.htm. The audience has more than enough time to hear. As a result, they will each be processing many thoughts of their own, on totally different subjects, while the manager is speaking. As this example demonstrates, oral communication is an inherently flawed medium for conveying specific facts. Listeners’ minds wander! It’s nothing personal—in fact, it’s totally physical. In business, once we understand this fact, we can make more intelligent communication choices based on the kind of information we want to convey. The key to effective communication is to match the communication channel with the goal of the communication.Barry, B., & Fulmer, I. S. (2004). The medium and the Message: The adaptive use of communication media in dyadic influence. Academy of Management Review, 29, 272–292. For example, written media may be a better choice when the Sender wants a record of the content, has less urgency for a response, is physically separated from the Receiver, doesn’t require a lot of feedback from the Receiver, or the Message is complicated and may take some time to understand. Oral communication, however, makes more sense when the Sender is conveying a sensitive or emotional Message, needs feedback immediately, and does not need a permanent record of the conversation. Use the guide provided for deciding when to use written versus verbal communication. The growth of e-mail has been spectacular, but it has also created challenges in managing information and an ever-increasing speed of doing business. Over 100 million adults in the United States use e-mail regularly (at least once a day).Taylor, C. (2002, June 10). 12 steps for email addicts. Time.com. Retrieved July 2, 2008, from http://www.time.com/time/magazine/article/0,9171,1002621,00.html.Internet users around the world send an estimated 60 billion e-mails every day, and many of those are spam or scam attempts.60 Billion emails sent daily worldwide. (2006, April 26). Retrieved July 2, 2008, from CNET.UK: That makes e-mail the second most popular medium of communication worldwide, second only to voice. A 2005 study estimated that less than 1% of all written human communications even reached paper—and we can imagine that this percentage has gone down even further since then.http://www.sims.berkeley.edu/research/projects/how-much-info/index.htm, as cited in David K. Isom. (2005, October 19). Electronic discovery: New power, new risks. Retrieved July 2, 2008, from http://utahbar.org/barjournal2000/html/november_2003_2.html. To combat the overuse of e-mail, companies such as Intel have even instituted “no e-mail Fridays” where all communication is done via other communication channels. Learning to be more effective in your e-mail communications is an important skill. To learn more, check out the business e-mail do’s and don’ts. DON’T send or forward chain e-mails. DON’T put anything in an e-mail that you don’t want the world to see. DON’T write a Message in capital letters—this is the equivalent of SHOUTING. DON’T routinely “cc” everyone all the time. Reducing inbox clutter is a great way to increase communication. DON’T hit Send until you spell-check your e-mail. DO use a subject line that summarizes your Message, adjusting it as the Message changes over time. DO end your e-mail with a brief sign-off such as, “Thank you,” followed by your name and contact information. DO think of a work e-mail as a binding communication. DO let others know if you’ve received an e-mail in error. Source: Adapted from information in Leland, K., & Bailey, K. (2000). Customer service for dummies. New York: Wiley; Information Technology Services (1997). Top 10 email dos and top ten email don’ts. Retrieved July 1, 2008, from the University of Illinois at Chicago Medical Center Web site: http://www.uic.edu/hsc/uicmc/its/customers/email-tips.htm; Kawasaki, G. (2006, February 3). The effective emailer. Retrieved July 1, 2008, from How to Change the World Web site: http://blog.guykawasaki.com/2006/02/the_effective_e.html. An important, although often ignored, rule when communicating emotional information is that e-mail’s lack of richness can be your loss. As we saw in the chart above, e-mail is a medium-rich channel. It can convey facts quickly. But when it comes to emotion, e-mail’s flaws make it far less desirable a choice than oral communication—the 55% of nonverbal cues that make a conversation comprehensible to a listener are missing. E-mail readers don’t pick up on sarcasm and other tonal aspects of writing as much as the writer believes they will, researchers note in a recent study.Kruger, J. (2005). Egocentrism over email: Can we communicate as well as we think? Journal of Personality and Social Psychology, 89, 925–936. The Sender may believe she has included these emotional signifiers in her Message. But, with words alone, those signifiers are not there. This gap between the form and content of e-mail inspired the rise of emoticons—symbols that offer clues to the emotional side of the words in each Message. Generally speaking, however, emoticons are not considered professional in business communication. You might feel uncomfortable conveying an emotionally laden message verbally, especially when the message contains unwanted news. Sending an e-mail to your staff that there will be no bonuses this year may seem easier than breaking the bad news face-to-face, but that doesn’t mean that e-mail is an effective or appropriate way to deliver this kind of news. When the Message is emotional, the Sender should use verbal communication. Indeed, a good rule of thumb is that the more emotionally laden messages require more thought in the choice of channel and how they are communicated. Information can move horizontally, from a Sender to a Receiver, as we’ve seen. It can also move vertically, down from top management or up from the front line. Information can also move diagonally between and among levels of an organization, such as a Message from a customer service representative up to a manager in the manufacturing department, or a Message from the chief financial officer sent down to all department heads. Communication flows in many different directions within an organization. There is a chance for these arrows to go awry, of course. As Mihaly Csikszentmihalyi, author of best-selling books such as Flow, has noted, “In large organizations the dilution of information as it passes up and down the hierarchy, and horizontally across departments, can undermine the effort to focus on common goals.” Managers need to keep this in mind when they make organization design decisions as part of the organizing function. The organizational status of the Sender can affect the Receiver’s attentiveness to the Message. For example, consider: A senior manager sends a memo to a production supervisor. The supervisor, who has a lower status within the organization, is likely to pay close attention to the Message. The same information, conveyed in the opposite direction, however, might not get the attention it deserves. The Message would be filtered by the senior manager’s perception of priorities and urgencies. Requests are just one kind of communication in business. Other communications, both verbal or written, may seek, give, or exchange information. Research shows that frequent communications with one’s supervisor is related to better job performance ratings and overall organizational performance.Snyder, R. A., & Morris, J. H. (1984). Organizational communication and performance. Journal of Applied Psychology, 69, 461–465; Kacmar, K. M., Witt, L. A., Zivnuska, S., & Guly, S. M. (2003). The interactive effect of leader-member exchange and communication frequency on performance ratings. Journal of Applied Psychology, 88, 764–772. 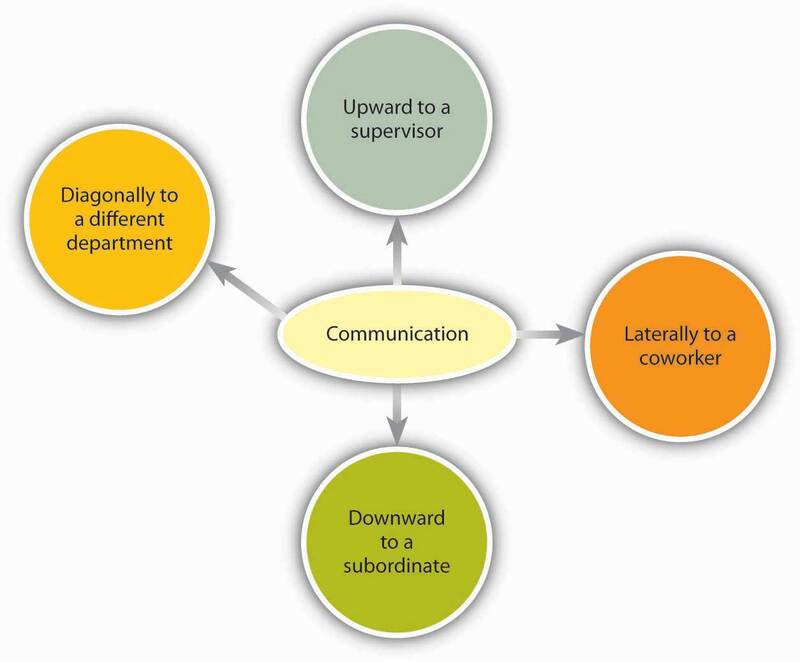 Research also shows that lateral communication done between peers can influence important organizational outcomes such as turnover.Krackhardt, D., & Porter, L. W. (1986). The snowball effect: Turnover embedded in communication networks. Journal of Applied Psychology, 71, 50–55. Source: Adapted from information in Luthans, F., & Larsen, J. K. (1986). How managers really communicate. Human Relations, 39, 161–178. Public relations professionals create external communications about a client’s product, services or practices for specific Receivers. These Receivers, it is hoped, will share the Message with others. In time, as the Message is passed along, it should appear to be independent of The Sender, creating the illusion of an independently generated consumer trend, public opinion, and so on. The Message of a public relations effort may be b2b (business to business), b2c (business to consumer), or media related. The Message can take different forms. Press releases try to convey a newsworthy message, real or manufactured. It may be constructed like a news item, inviting editors or reporters to reprint the Message in part, or as a whole, with or without acknowledgment of the Sender’s identity. Public relations campaigns create Messages over time, through contests, special events, trade shows, and media interviews in addition to press releases. Advertising places external business Messages before target Receivers through media buys. A media buy is a fee that is paid to a television network, Web site, or magazine by an advertiser for an on-air, site, or publication ad. The fee is based on the perceived value of the audience who watches, reads, or frequents the space where the ad will appear. In recent years, Receivers have begun to filter advertiser’s Messages, a phenomenon that is perceived to be the result of the large amount of ads the average person sees each day and a growing level of consumer wariness of paid Messaging. Advertisers, in turn, are trying to create alternative forms of advertising that Receivers won’t filter. The advertorial is one example of an external communication that combines the look of an article with the focused Message of an ad. Product placements in videos, movies, and games are other ways that advertisers strive to reach Receivers with commercial Messages. A Web page’s external communication can combine elements of public relations, advertising, and editorial content, reaching Receivers on multiple levels and in multiple ways. Banner ads, blogs, and advertiser-driven “click-through” areas are just a few of the elements that allow a business to deliver a Message to a Receiver online. The perceived flexibility of online communications can impart a less formal (and, therefore, more believable) quality to an external communication. A Message relayed in a daily blog post will reach a Receiver differently than if it is delivered in an annual report, for example. The popularity and power of blogs is growing, with 11% of Fortune 500 companies having official blogs (up from 4% in 2005). In fact, blogs have become so important to some companies as Coca-Cola, Kodak, and Marriott that they have created official positions within their organizations titled “Chief Blogging Officer.”Chief blogging officer title catching on with corporations. (2008, May 1). Workforce Management News in Brief. 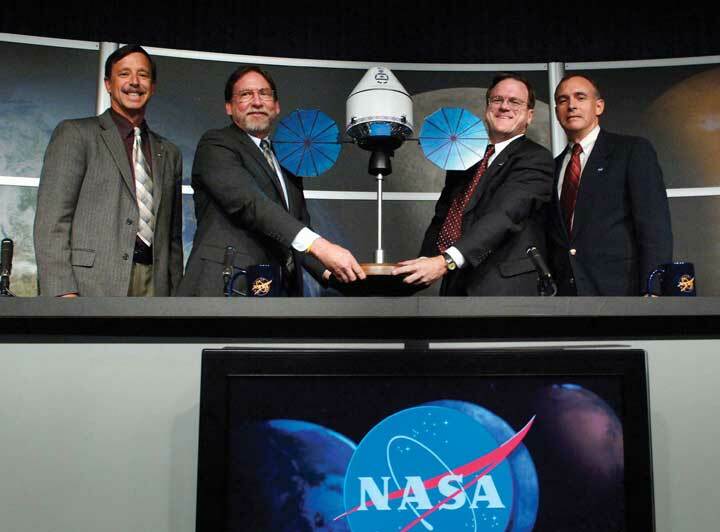 Retrieved July 2, 2008, from http://www.workforce.com/section/00/article/25/50/77.html. The “real-time” quality of Web communications may appeal to Receivers who might filter out a traditional ad and public relations message because of its “prefab” quality. Despite their “spontaneous” feel, many online pages can be revisited in perpetuity. For this reason, clear and accurate external communications are as vital for online use as they are in traditional media. Customer communications can include letters, catalogs, direct mail, e-mails, text messages, and telemarketing messages. Some Receivers automatically filter bulk messages like these. Others will be receptive. The key to a successful external communication to customers is to convey a business message in a personally compelling way—dramatic news, a money-saving coupon, and so forth. Different communication channels are more or less effective at transmitting different kinds of information. 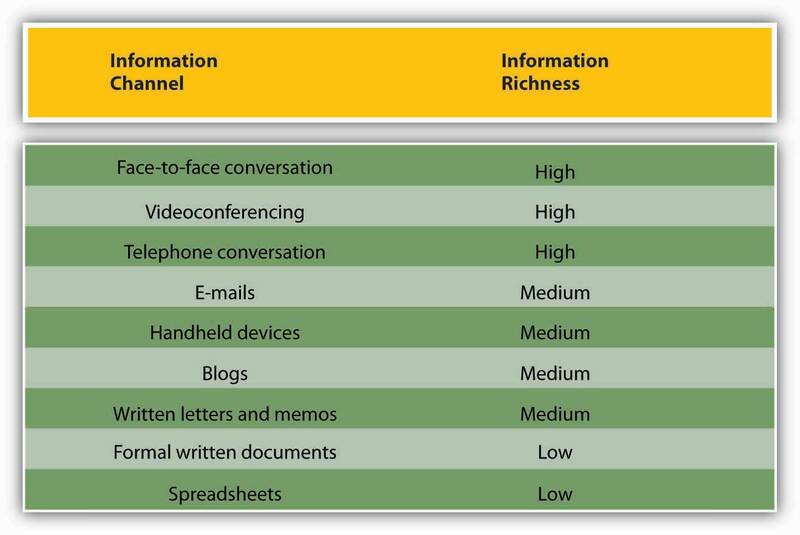 Some types of communication are information rich while others are medium rich. In addition, communications flow in different directions within organizations. A major internal communication channel is e-mail, which is convenient but needs to be handled carefuly. External communication channels include PR/press releases, ads, Web pages, and customer communications such as letters and catalogs. How could you use your knowledge of communication richness to be more effective in your own communications? What are the three biggest advantages and disadvantages you see regarding technology and communications? Explain the difference between internal and external communications in an organization, giving examples of each. Learn how to improve your own listening habits. Learn how to handle personal communications in a career-friendly manner. Learn what communication freezers are and how to avoid them. Communication can be formal or informal as seen here. By being sensitive to the errors outlined in this chapter and adopting active listening skills, you may increase your communication effectiveness, increasing your ability to carry out the managerial functions of planning, organizing, leading, and controlling. The following are additional tools for helping you increase your communication effectiveness. Start by stopping. Take a moment to inhale and exhale quietly before you begin to listen. Your job as a listener is to receive information openly and accurately. Don’t worry about what you’ll say when the time comes. Silence can be a beautiful thing. Try to empathize with the Sender’s point of view. You don’t have to agree; but can you find common ground? Confused? Ask questions. There’s nothing wrong with admitting you haven’t understood the Sender’s point. You may even help the Sender clarify the Message. Establish eye contact. Making eye contact with the speaker (if appropriate for the culture) is important. What is the goal of this communication? Ask yourself this question at different points during the communication to keep the information flow on track. Be polite. Differences in opinion can be the starting point of consensus. It’s great to be surprised. Listen with an open mind, not just for what you want to hear. Pay attention to what is not said. Does the Sender’s body language seem to contradict her Message? If so, clarification may be in order. Adapted from information in Barrett, D. J. (2006). Leadership communication. New York: McGraw-Hill/Irwin; Improving verbal skills. Retrieved July 2, 2008, from http://www.itstime.com/aug97.htm; Ten tips: Active Listening from Communication at work. (2007, June 4). Retrieved July 2, 2008, from http://communication.atwork-network.com/2007/06/04/ten-tips-active-listening. Communication can occur without your even realizing it. Consider the following: Is your e-mail name professional? The typical convention for business e-mail contains some form of your name. While an e-mail name like “LazyGirl” or “DeathMonkey” may be fine for chatting online with your friends, they may send the wrong signal to individuals you e-mail such as professors and prospective employers. Do you have a “private” social networking Web site on MySpace.com, Facebook.com, or Xanga.com? If so, consider what it says about you to employers or clients. If it is information you wouldn’t share at work, it probably shouldn’t be there. Googled yourself lately? If not, you probably should. Potential employers have begun searching the Web as part of background checking and you should be aware of what’s out there about you. Communication freezers put an end to effective communication by making the Receiver feel judged or defensive. Typical communication stoppers include critizing, blaming, ordering, judging, or shaming the other person. The following are some examples of things to avoid saying:Source: Adapted from information in Tramel, M., & Reynolds, H. (1981). Executive leadership. Englewood Cliffs, NJ: Prentice Hall; Saltman, D., & O’Dea, N. (n.d.). Conflict management workshop powerpoint presentation. Retrieved July 1, 2008, from http://www.nswrdn.com.au/client_images/6806.PDF; Communication stoppers. Retrieved July 1, 2008, from Mental Health Today Web site: http://www.mental-health-today.com/Healing/communicationstop.htm. By practicing the skills associated with active listening, you can become more effective in your personal and professional relationships. Managing your online communications appropriately can also help you avoid career pitfalls. Finally, be aware of the types of remarks that freeze communication and try not to use them. How can you assess if you are engaging in active listening? How does it feel when someone does not seem to be listening to you? Some companies have MySpace pages where employees can mingle and share ideas and information. Do you think this practice is a good idea? Why or why not? What advice would you give to someone who is going to become a first time manager in terms of communication?